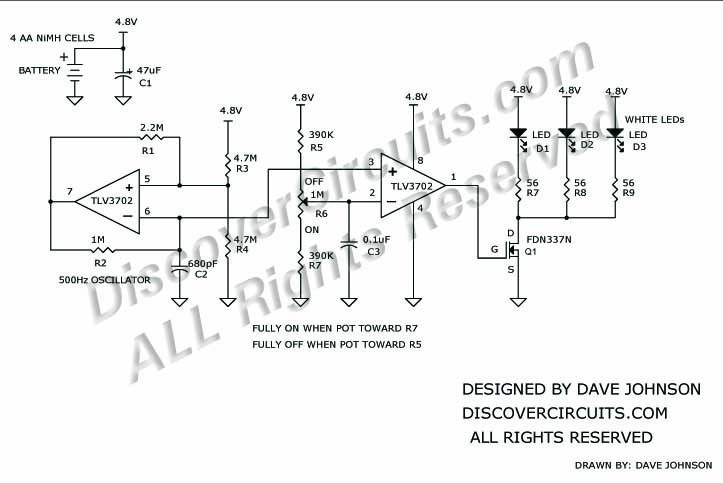 Circuit: Pot Controlled Variable LED Intensity __ Circuit designed by David A. Johnson, P.E. cells to drive 3 white LEDs. 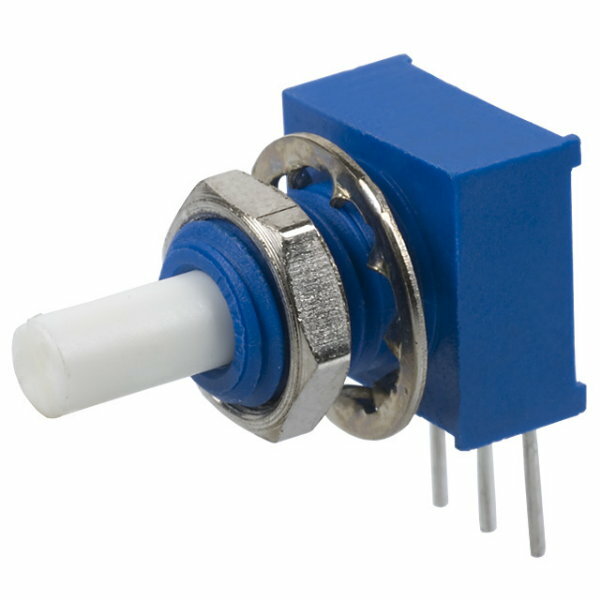 A potentiometer varies the duty cycle of a pulse width modulator circuit to vary the intensity of the LEDs from 0% to 100%. The beauty of the circuit is that when the pot is all the way toward 0%, very little power is drawn from the battery. Likewise, when the pot slider is moved toward the 100% end, full power is fed to the LEDs. In effect, the pot becomes the on/off switch. A dual low power voltage comparator TLV3702 from Texas Instruments forms a simple PWM controller. 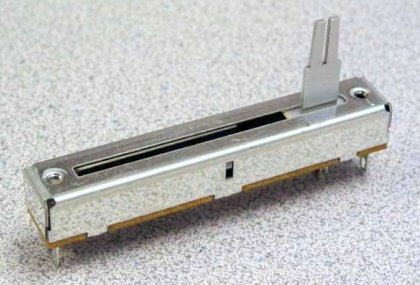 The comparator IC draws very low current and has push-pull outputs. This lowers the total number of parts needed. When the pot’s slider is in the off position, the total current should be about 6 microamps. In the full on position, the current increases to about 60ma, or about 20ma for each white LED. If quality 2500ma-hour batteries are used, the lights should last a day and a half.